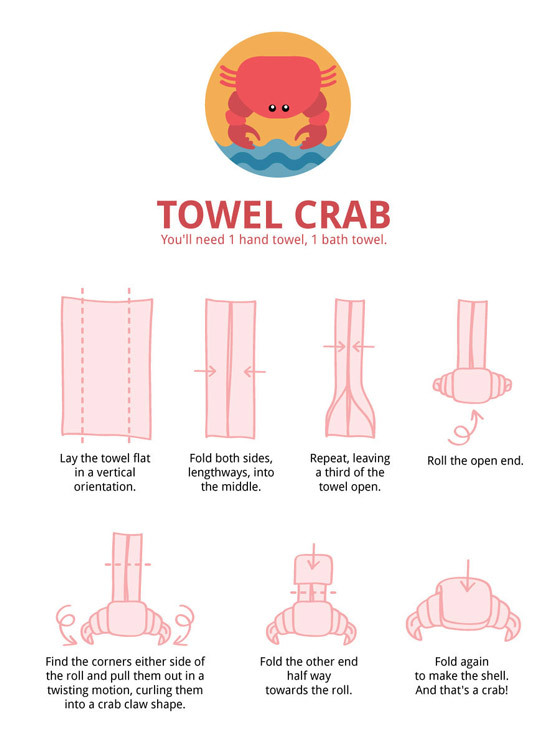 While ago, we featured a post about 20 cute towel animals and we got a lot of emails asking about how to fold those lovely animals. Too bad we didn’t have answer at that time since we just collected those interesting photos from Flickr. 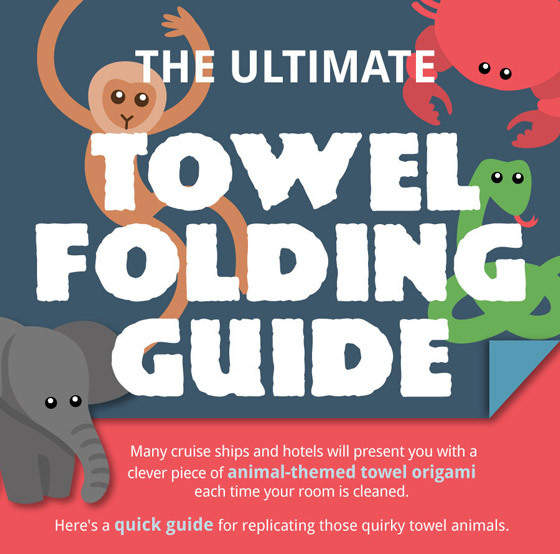 Thanks to one of our readers, who shared an awesome infographic with us called “The Ultimate Towel Folding Guide” where you can find the folding instructions for 6 animals: swan, crab, mouse, monkey, elephant or snake. So stop wondering how you can make it! 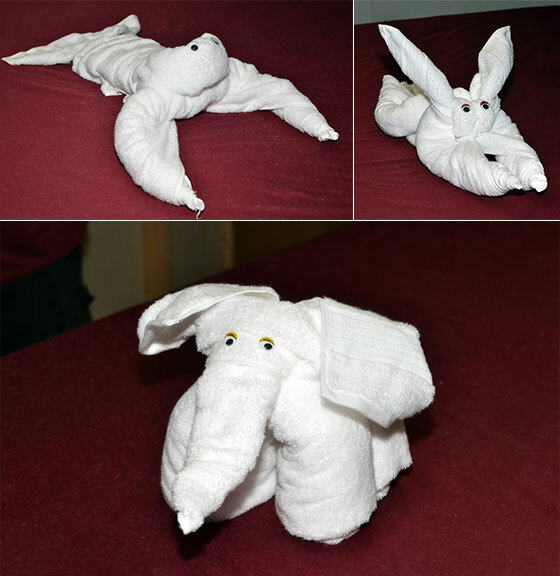 Grab your towel and follow the ultimate towel folding guide to create some cute towel animals. 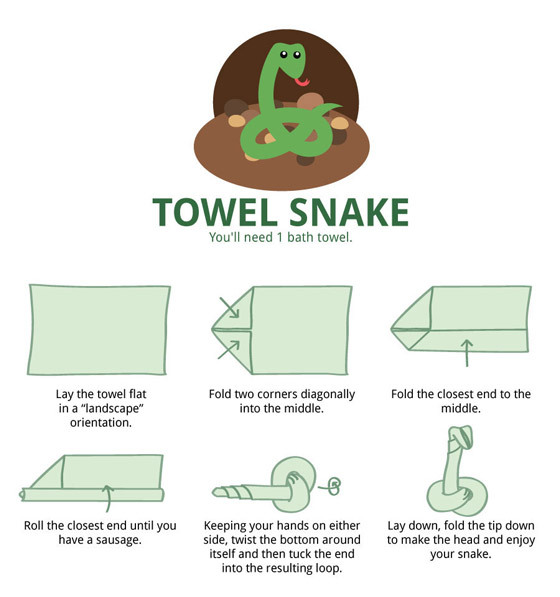 Your family and children are sure to adore. 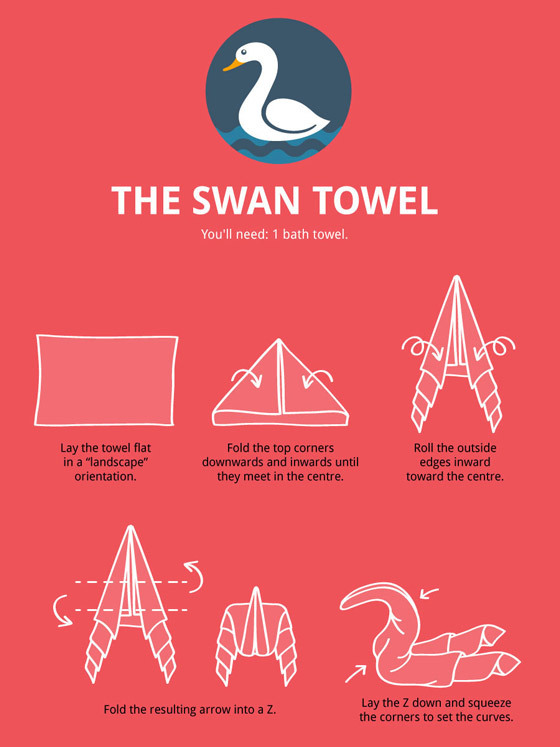 Love the infographic? 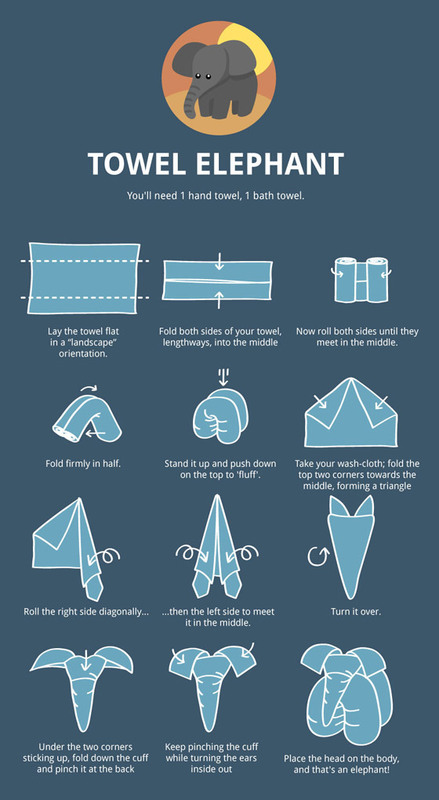 Want more instructions? 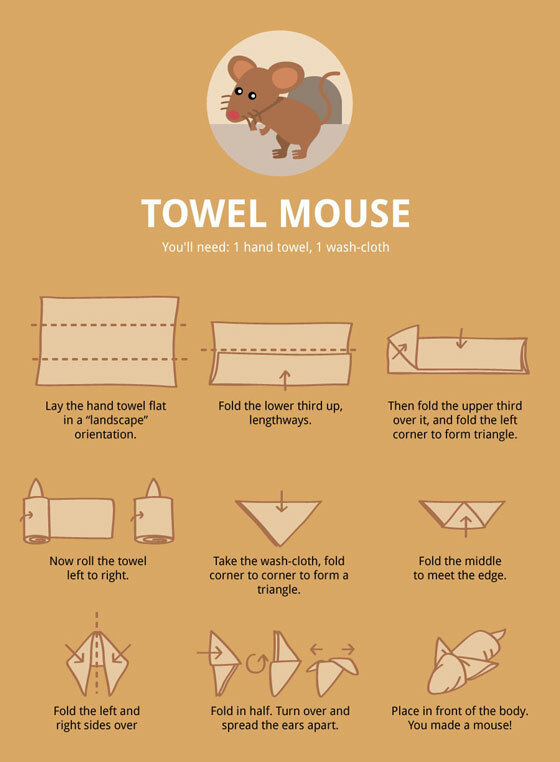 Check maketowelanimals for more animal towel guides.